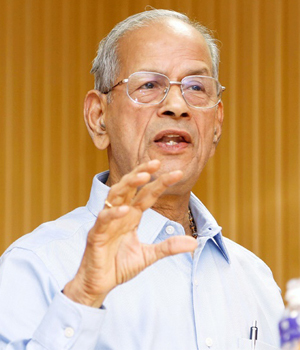 Dr. E. Sreedharan, best known as the 'Metro Man' of India - is the Principal Advisor of Lucknow Metro Rail Corporation. Credited with bringing Metro to the capital of India. Dr. E. Sreedharan is associated with Lucknow Metro from the very initial days of its formation. He is the guiding force behind this project right from the very beginning. He keeps on visiting Lucknow on a monthly basis ans reviews the progress of the project on a regular basis. He is, very happy with the way the works for the Lucknow Metro Project have progressed under the leadership of Shri Kumar Keshav, Managing Director, LMRC. Dr. Sreedharan has rated Lucknow Metro the 'Finest Metro' as regards quality and speed of deliverance of the project. Shri Kumar Keshav, an IRSE (Indian Railway Service of Engineers) officer and a gold-medallist engineer from IIT- Kanpur (M.Tech) and IIT-Roorkee (B.E. 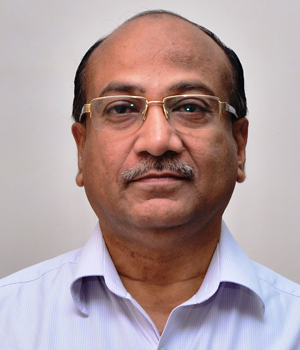 ), took over as Managing Director of the company on 18th August, 2014. As Director (Projects & Planning) at Delhi Metro Rail Corporation (DMRC), he is credited with successfully completing and commissioning various projects in Delhi Metro. He held the prestige of the nation high during the XIXth Commonwealth Games, 2010 when he commissioned the Central Secretariat -Badarpur Metro project on 3rd October, 2010 - just on the day of the start of the Commonwealth Games - when approximately 70,000 public travelled by Delhi Metro to reach the main venue of the global sporting extravaganza - the Jawaharlal Nehru Stadium. It was an impossible task which was made possible by this gritty engineer who held his nerves till the last hour to make this happen for the entire nation. Apart from this, he was involved in the successful execution of USD 280 Million, 19 km long West Corridor of Phase II of Delhi Metro, USD 400 Million Corridor of Phase-I (Dwarka sub-city) and others. He was associate with Delhi Metro from 2002 where he headed the designing, procurement, installation, testing and commission of USD 280 Million ballast-less track for entire Phase-I and II of the project. As regards the Lucknow Metro Project, it is a dream which is being realised by him. Lucknow Metro is a dream project of the people of Uttar Pradesh which is being executed by Metro engineers under the leadership of Shri Kumar Keshav. Work for this project is going-on day and night without any break with the Managing Director leaving no stone unturned to see that the 8.5 km priority Metro corridor is commissioned for trial runs on 1st December, 2016 in just two years and two month period which is a record in itself, thereby achieving the distinction of being the fastest ever Metro project execution that has ever happened in the Country as stated by 'Metro Man' Dr. E. Sreedharan. This all has been made possible only because of firm determination and commitment of such an energetic LMRC team under dynamic leadership of its Managing Director. Daljeet Singh, Director (Works & Infrastructure), Lucknow Metro Rail Corporation, is an IIT-Kanpur (M.Tech) and IIT BHU (Varanasi) alumni. Prior to this, he has also worked with DMRC as an Executive Director (Civil) and was involved in the construction and design of various projects in Delhi Metro. He has been credited with construction and completion of the underground Metro corridor from Central Secretariat to Vishwavidalaya during Phase I. He was also responsible for the completion of elevated corridor between Qutab Minar and HUDA City Centre during the XIXth Commonwealth Games, 2010 (Phase II) and design & construction of underground Metro corridor from Kalkaji to Vasant Vihar (Phase III). Under his leadership, DMRC's Corporate Headquarter, Metro Bhavan and the I.T. Park Buildings were constructed. As a civil engineer, he has received many national and international awards and accolades . At present, the civil work of the Lucknow Metro Rail Project is being executed under his acumen. He is involved in planning, designing and construction of the 23 km North-South Corridor of Lucknow Metro under Phase-1A. He has played an anchor role to ensure the completion of one of India's fastest ever Metro project that is being undertaken in this country. Mahendra Kumar, an Ex-officer of the Indian Railway Service of Electrical Engineers is Director (Rolling Stock & Systems) Lucknow Metro Rail Corporation. He was associated with Electrification of 2 X 25 KV system of Anuppur-Bishrampur/Chirmiri section of South-Eastern Railways till 1998. Then he was associated with the electrification of Jhajha-Mugalsarai Section which included Over Head Equipments, Substations and SCADA system. He joined Delhi Metro on deputation in December 1999 and was involved in DMRC Phase-I Design, Installation, Testing and Commissioning of Traction System, Lifts & Escalators, Undergound Stations, E&M, ECS and TVS Systems. He was also the GM/Maintenance in 2005 for two years. He was instrumental in the First CDM project of Regenerative Braking in the Rolling Stocks of DMRC Phase-I. 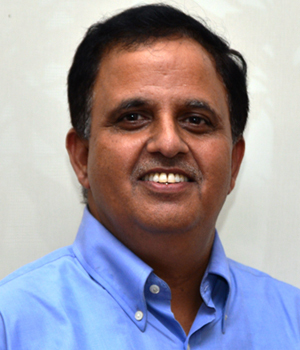 He was on deputation as Director (Personnel) at Department of Personnel and Training, Government of India in 2007. 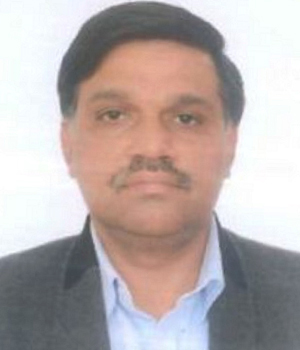 He worked as Chief Electrical Engineer and Chief General Manager in DMRC from 2008 to 2014. He was involved in Planning, Tendering, Coordination with JICA etc, for Electrical works of DMRC Phase II. Under his leadership Solar Power initiatives were taken and the first 500 kWp solar plant under RESCO model was commissioned in DMRC. 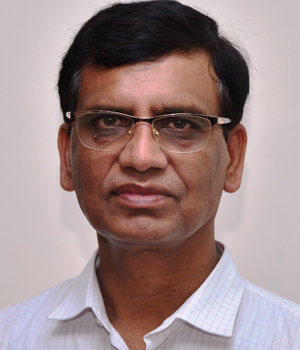 He took over as Director (RS & S) / Lucknow Metro in September 2014 and is responsible for finalisation and execution of all Rolling Stock and other Systems which includes Traction, Power Supply, Signalling, Telecommunications, Auto Fare Collection System, Electrical & Mechanical works of Stations and the Train Depot. He is the leading force behind finalisation of the Design, Specifications of the Rolling Stock and Communication Based Train Control Signalling System. He is also the Director (Operations) for Lucknow Metro and is responsible for the setting up Operations and Maintenance system for Lucknow Metro project. Ajai Kant Rastogi, Director (Finance), belongs to the Indian Railway Accounts Service (IRAS) and is an officer of impeccable integrity and reputation. Prior to joining Lucknow Metro, he was serving as Divisional Railway Manager (DRM) at Madurai (Tamil Nadu). He has a vast experience in maintaining finance and accounts of large organisations such as the Indian Railways. He is an expert in cash management. Under his stewardship, Lucknow Metro's Accounts and Finance is being handled professionally, ensuring smooth flow of cash for completion of the project in the stipulated budget and time-frame. Under his dynamic leadership, financial advice and scrutiny of the proposals have been carried out most efficiently so as to achieve optimum utilisation of assets and all efforts have been made to avoid delay in execution of the project. He has also ensured that the payments to various contractors are made timely. In addition to Finance, Shri Rastogi is also heading the Human Resources (HR) and the Property Development departments of Lucknow Metro Rail Corporation (LMRC). It is only because of his sustained leadership that LMRC has been able to recruit and induct around 350 candidates for the Operation and Maintenance (O&M) & other activities of the organisation in a very short recruitment time. Sanjay Mishra, Director (Works & Infrastructure), belongs to the Indian Railway Service of Engineers (IRSE). Prior to joining Lucknow Metro Rail Corporation, he has worked in Central Railway, Northern Railway &Konkan Railway Corporation Limited (KRCL). He has extensive experience of planning and executing some of the most challenging railway projects of the country involving construction of major Prestressed Concrete (PSC) bridges and tunneling in extremely difficult ground conditions. He was also instrumental in successful planning and implementationof Project Management Information System (PMIS) for KRCL. As Director (Works & Infrastructure) , he is responsible for all civil construction activities including planning, scheduling, tendering, track works, contract administration and commissioning etc. for implementation of various Metro Rail Projects of the Company. He is also responsible for planning future extensions of the project corridors as well as identification of new corridors for subsequent phases of various Metro projects of the company. Shri Sushil Kumar, Director (Operations), was earlier working as Chief Electrical Engineer/General Manager (Operations) for LMRC since 2015. During his tenure as CEE/GM (Operations) at LMRC, he was responsible for day to day Operation & Maintenance of all assets & services including Safety & Security in LMRC. 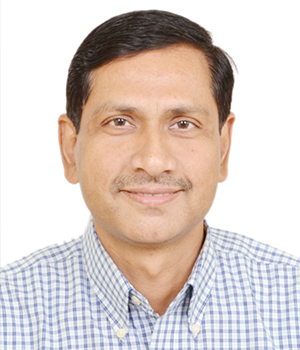 Shri Sushil Kumar belongs to 1991 batch of the Indian Railways Service of Electrical Engineers (IRSEE), Govt. of India. He did B.Tech from IIT/Roorkee and M.Tech from IIT/Delhi besides completing Advance Management Program from INSEAD, Singapore in 2011. During his service at the Ministry of Railways as Director (Power), he was a member to different committees in the fields of Energy Conservation, Energy Planning under different Ministries. Before that, he served as Additional General Manager for Delhi Metro Rail Corporation (DMRC). He has an extensive experience in project management, design specification, technical support, operation and maintenance in Indian Railways and urban transit & Metros for Rolling Stock/Trains, Signalling, Traction Power System, and Telecommunication including Train Operation. He has a vast knowledge of Renewable Energy Sector & Power Sector. He is also acting as the Chief Electrical Inspector General (AEIG) to Government of India. Besides having worked as National Project Director for UNDP project for Energy Conservation, he has also worked as Lift Inspector to Government of India before. He has the exposure of International Metro projects across the globe including Tokyo, Seoul, Singapore, Hong Kong, Paris, Vienna etc. He is a recipient of “National Award for Outstanding Service” from Hon’ble Millionnister of Railways in 2012 and Outstanding performance award from MD/DMRC in 2005. Shri Sushil Kumar, Director (Operations), was earlier working as Chief Electrical Engineer/General Manager (Operations) for LMRC since 2015. During his tenure as CEE/GM (Operations) at LMRC, he was responsible for day to day Operation & Maintenance of all assets & services including Safety & Security in LMRC. 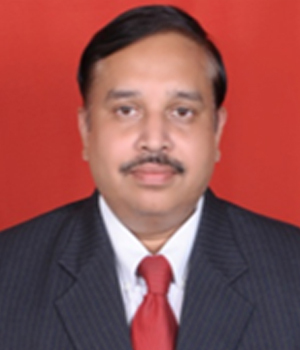 Shri Sushil Kumar belongs to 1991 batch of the Indian Railways Service of Electrical Engineers (IRSEE), Govt. of India. He did B.Tech from IIT/Roorkee and M.Tech from IIT/Delhi..